With a myriad of customization options ranging from visual upgrades like new metals, woods, varnishes and engravings to performance upgrades like new barrels, grips, sights and scopes, you can design an entirely unique weapon that looks and handles exactly the way you want it to. Every weapon’s performance varies in terms of damage, range, fire rate, accuracy and reload speed so it’s important to pick wisely depending on the situation. The high fire rate of a Double-Action Revolver lends itself well to shooting on the move from horseback. 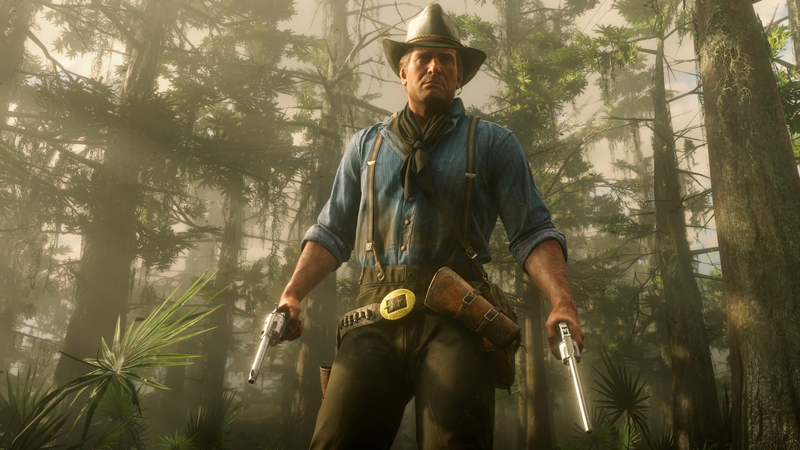 If you’re carrying something in one hand, like a lantern or small animal, consider using a Sawed-Off Shotgun which packs a much bigger punch at close range than other one-handed weapons. 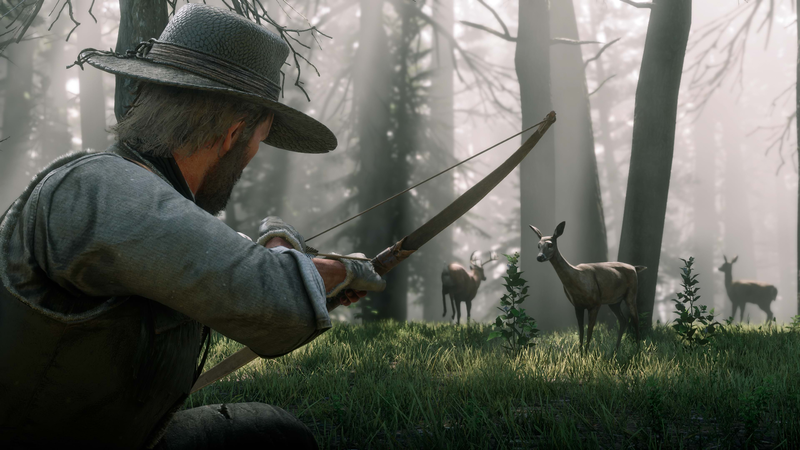 The Varmint Rifle is perfect for hunting small game because it’s far less likely to damage the quality of the skin and meat than a firearm with a bigger shell size. When faced with just one or two enemies, you might want to go for a Springfield Rifle which has a slower fire rate but delivers much higher damage. For range, a sniper rifle of some kind is obviously a good choice, but scopes can also be fitted to all other types of rifle enabling you to switch between regular view and scope view at any time. Metals and engravings are customizable per component - select different colors and engravings for the trigger guard, barrel, frame and more. You can also choose from a variety of inlay metals for the engravings on each part. For extra stopping power, purchase and craft a variety of ammo types such as Split Point, High Velocity or Explosive ammo. 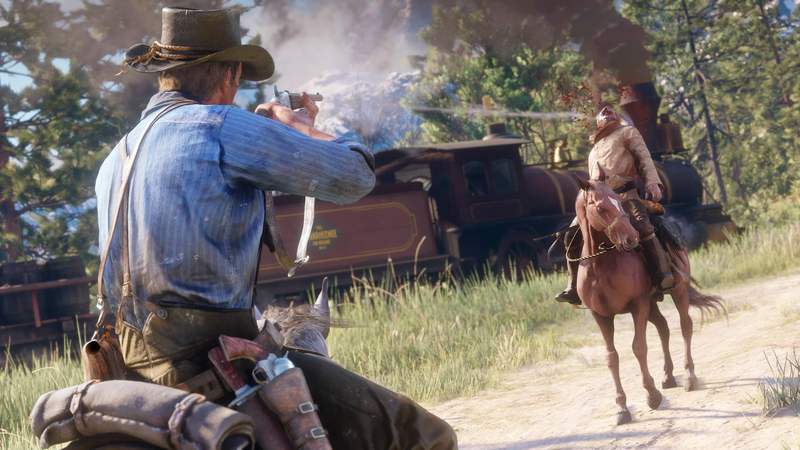 Your horse’s saddle will store all of your weapons. 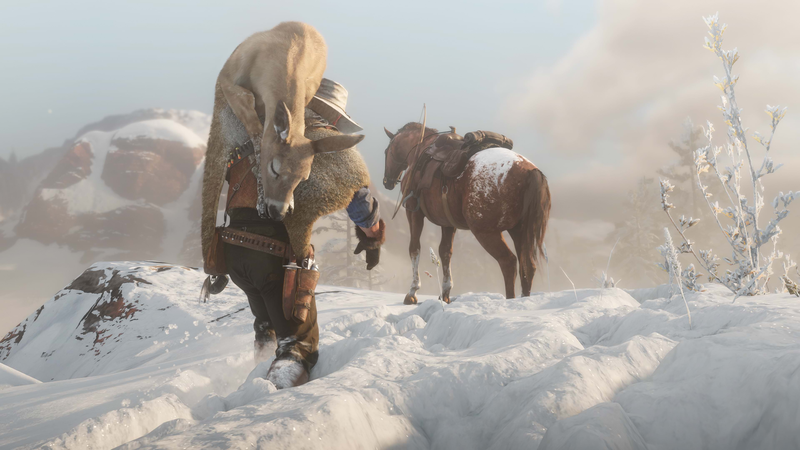 Be sure to select and carry the weaponry you’ll need when leaving your horse behind. 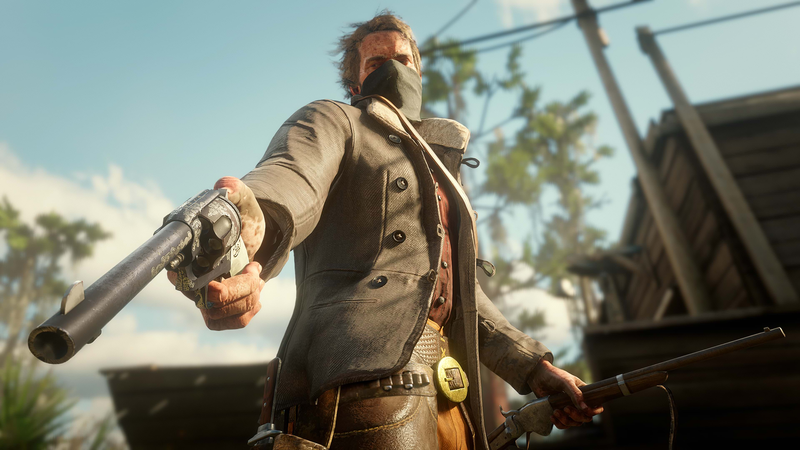 Carry single handed pistols, revolvers and the single handed Sawed-Off Shotgun in your holsters. 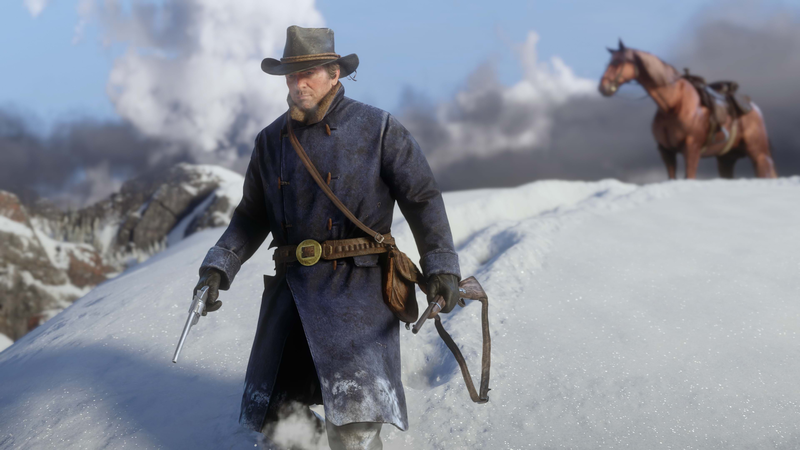 Upgraded and reinforced holsters will protect the weapons from degradation against the elements while Off-Hand Holsters give you the ability to dual wield. 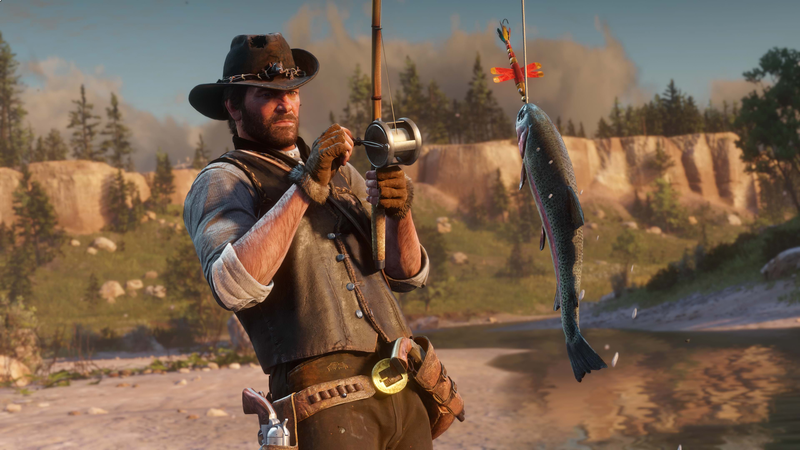 The diverse habitats and climates of Red Dead Redemption 2 are home to around 200 species of animals, birds and fish, all of which behave and respond to their environment in a unique way. Deer, bison and pronghorn traverse the plains in large herds, scavengers quickly sniff out carrion, sockeye salmon leap upstream, wolves attack in packs surrounding their prey, geese fly in fixed formations, possums play dead, rodents scamper into tree hollows, grizzly bears bluff charge when threatened, and birds of prey soar on thermals. They all form part of a complex ecosystem and must continually fight for their place on the food chain. 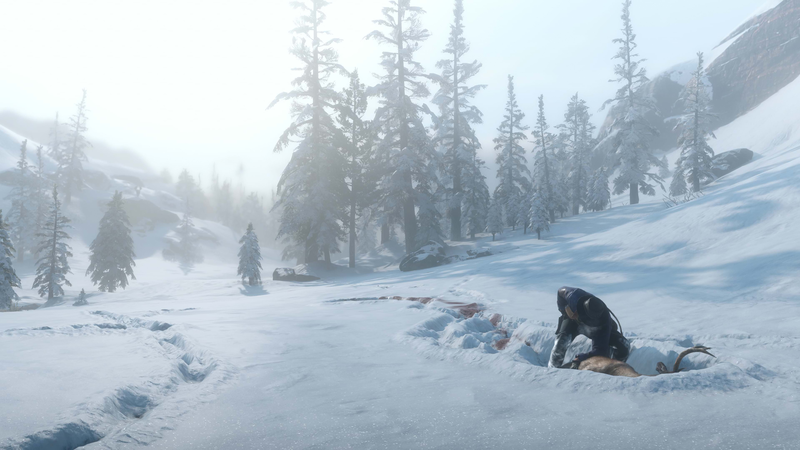 The wilderness is at once a bountiful and perilous place, for both man and beast, and any predator can quickly turn prey. Your bond with your horse represents trust and understanding. 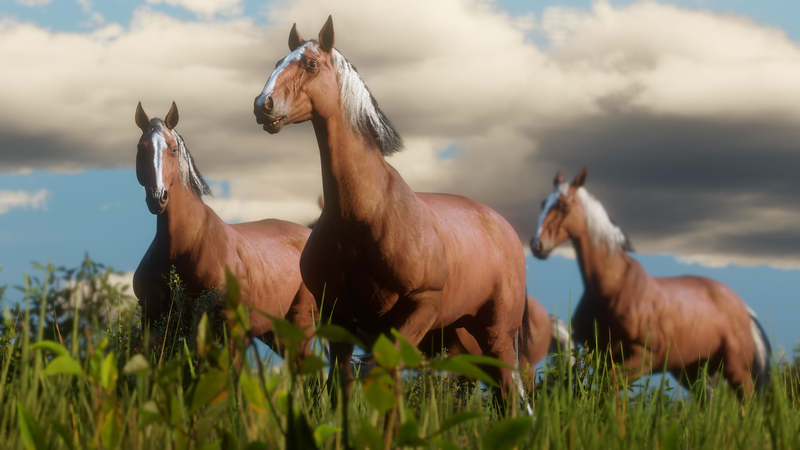 As your bond with your horse grows over time and through activities like feeding and grooming, your horse’s attributes like its health and speed will improve. You will also unlock bonding perks and rewards. 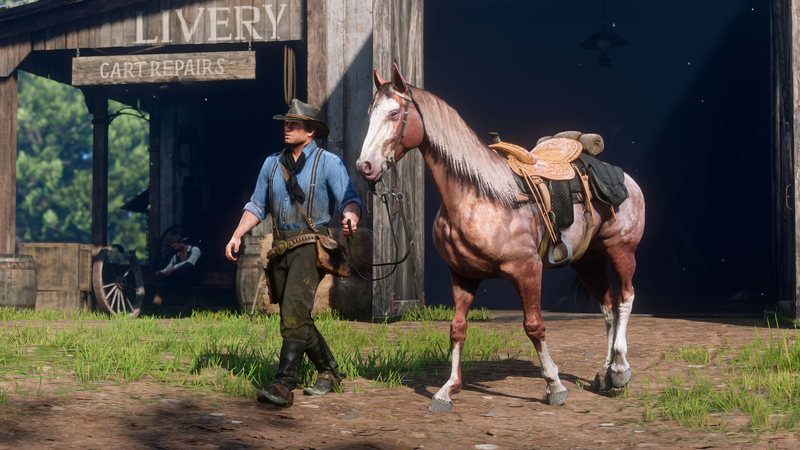 Buy, sell and store horses from Stables, or purchase provisions to keep your horse fed, tonics that give your horse temporary health and stamina boosts, and equipment like stirrups and saddles, which can improve your horse’s performance. Or simply add style to your horse’s mane, tail or otherwise. 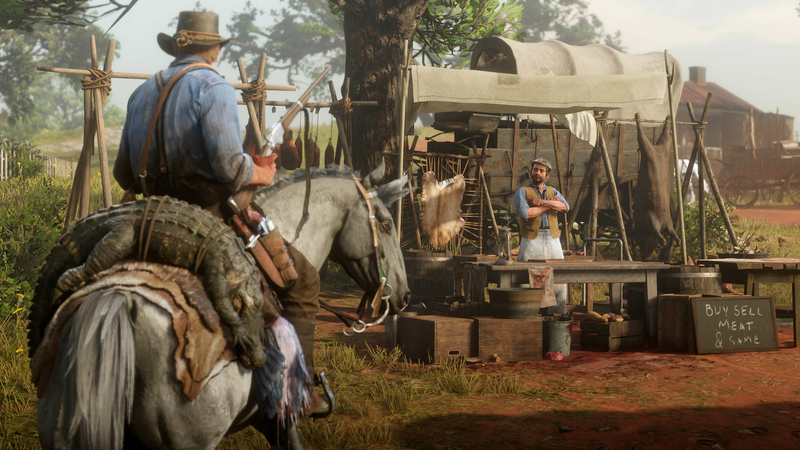 Store weapons, outfits, masks and hats in your horse’s saddle. 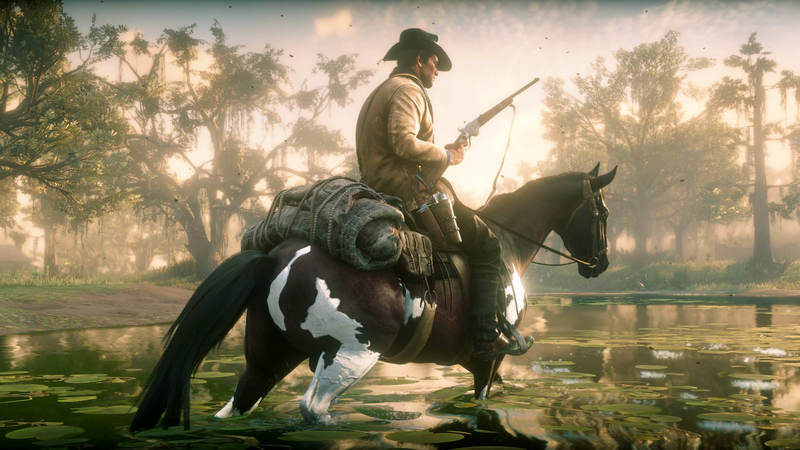 You can also stow fresh kills; birds and small game can be attached to the saddle or you can store larger game across your horse’s rear.